Novel composed in 1861 by Camilo Castelo Branco, during the time the author was arrested for adultery in Oporto. It has been written based on an actual episode in the life of his uncle, Simão Botelho, that would have been told him by an aunt. 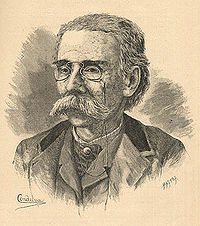 However, Camilo’s manipulation and fiction are so free, that converted the novel into the most famous sentimental novel of Portuguese Romanticism. The plot is ultra-romantic: the protagonists, Simão and Teresa, sons of two enemy families of Viseu, the Botelhos and Albuquerques, fall in love. On Baltasar Coutinho’s advice, cousin and promised to Teresa, Tadeu de Albuquerque decides to send the daughter to the Monchique’s convent, in Oporto. Simão is waiting for them outside Viseu, confronts Baltasar and kills him by shooting, surrendering immediately to justice. Arrested in Oporto, he is sentenced to exile. When embarking for India, Simão can still glimpse his beloved, who says goodbye to him, almost dying, worn out by misfortune. Hours later, Simão becomes aware of the death of Teresa and dies too. The genuine character of the novel, that breaks with romantic conventionality, is, however, Mariana, a good and selfless girl, who, feeling an absolute love for Simão and hopeless, acts as intermediary between Simão and Teresa, deciding to join him in exile and kill herself after his death, embracing his dead body thrown overboard. Besides the passionate and tragic story, where love, hate and revenge, in its many nuances appear, according to some scholars Camilo also intended to do a social criticism, namely report the society’s blind obedience to the obsolete prejudice of family honor. Amor de Perdição has been adapted in 1978 into a movie directed by Manoel de Oliveira, who won the Jury's Special Award at the Festival of Figueira da Foz. Main cast was composed of: Adelaide João; António Sequeira Lopes; Cristina Hauser; Elsa Wallencamp; Duarte de Almeida; Henrique Viana; Lia Gama; Manuela de Freitas; Ruy Furtado. Pedro Bandeira Freire and Manoel de Oliveira and an excerpt.